Halloween is coming soon! 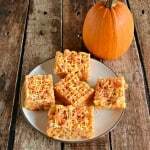 Halloween is one of my favorite holidays and every year I look forward to making fun, themed treats for my students at school. 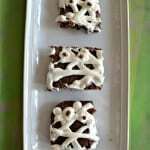 Over the years I’ve made graveyard pudding, Brain cupcakes, pumpkin cookies, and other fun baked goods. While some years I have plenty of time to make something, other years I feel very rushed. 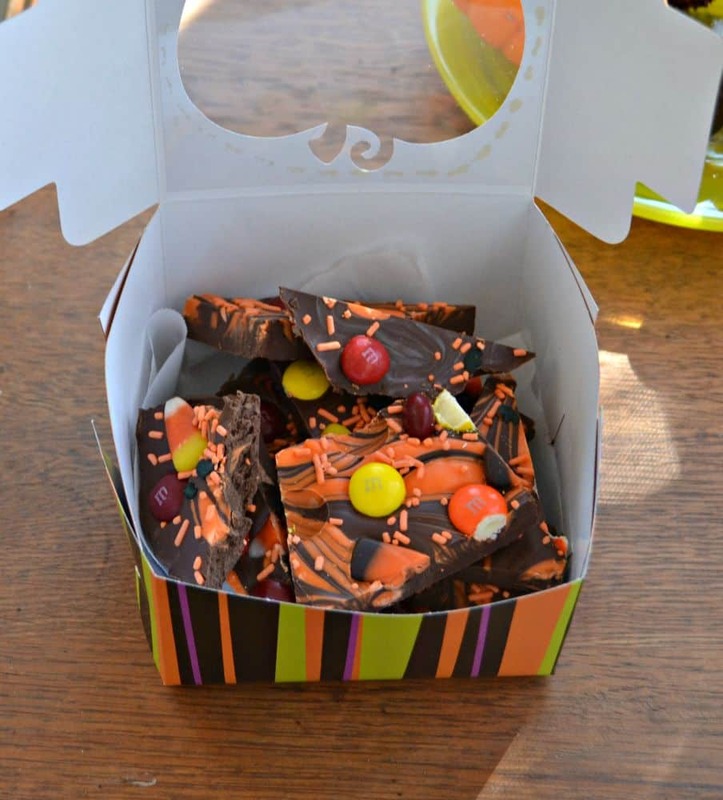 Last year I was in a rush and needed to make something in a hurry so I came up with this awesome Halloween Bark. 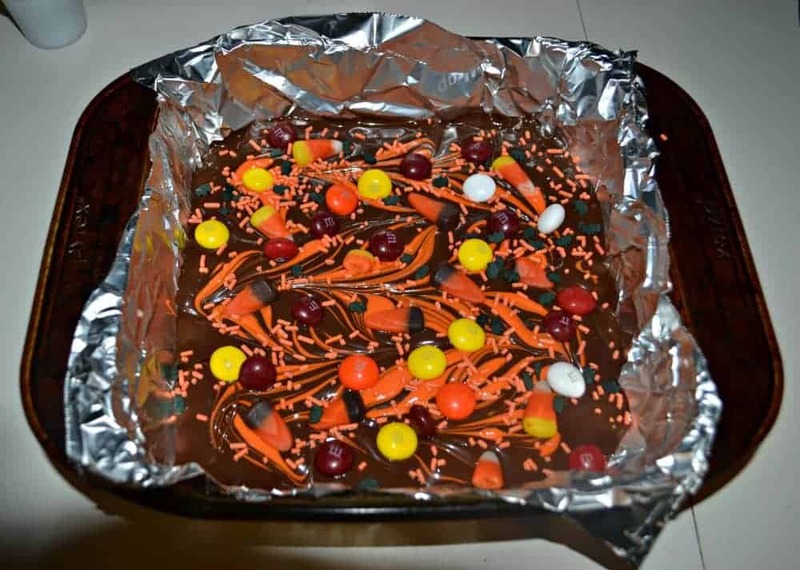 The best part of the bark is that you can use any Halloween themed candy you have on hand. I happened to have candy apple M&M’s and candy corn on hand so that’s what I used. I think no matter what other candies are used, candy corn should always be used. I also had some cute orange and black sprinkled that had candy “bats” in them. The bark is simple. 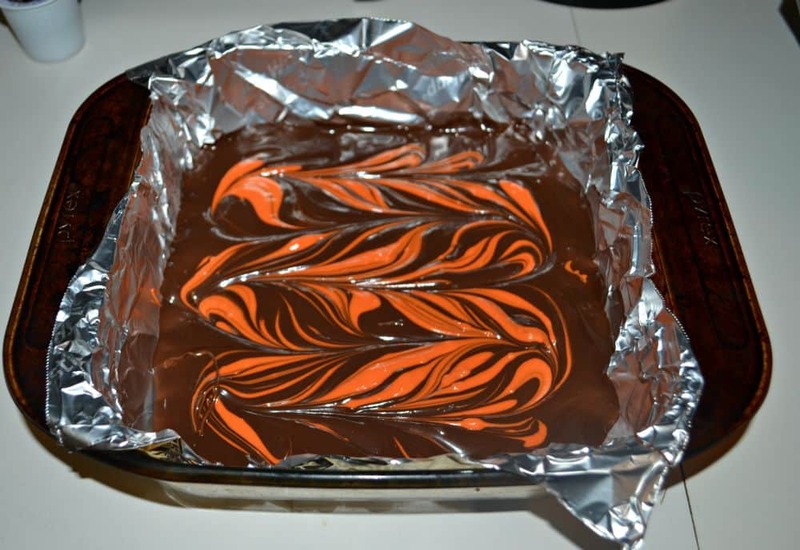 Melt some milk chocolate and pour in a pan then swirl it with orange chocolate. 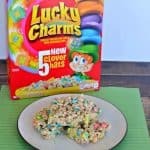 Then top it off with the candy. Let it cook and simply break it into pieces. I took this candy into work and the kids loved it. 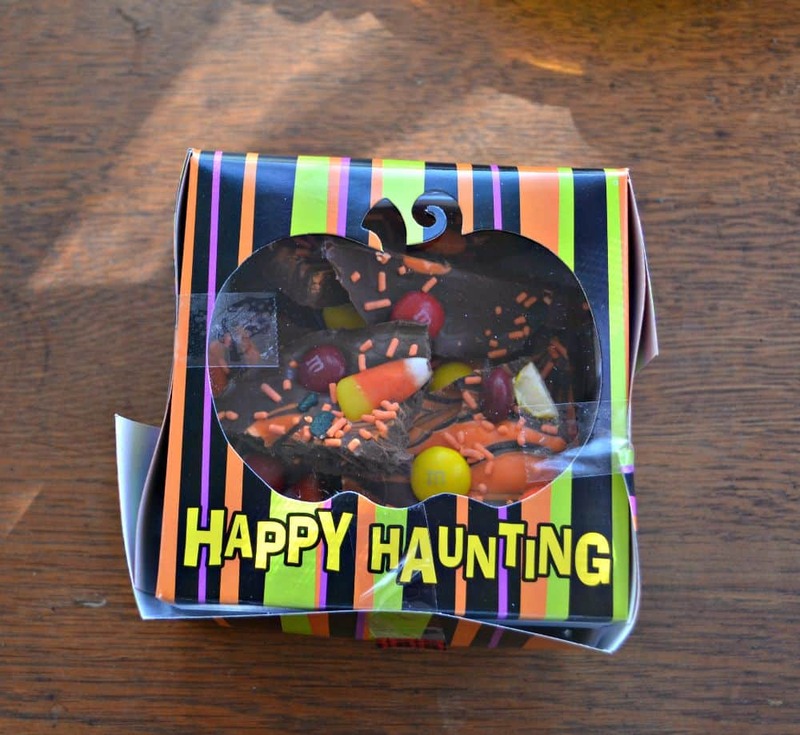 I also ended up giving it as a gift in a spooky Halloween gift box. The recipient really enjoyed the bark as well. Place the milk chocolate in a microwave safe bowl and heat in 30 second intervals, stirring in between each heating, until melted. Pour the chocolate into the prepared pan. Heat the orange candy melts in another microwave safe dish in 30 second intervals, stirring in between each heating, until melted. 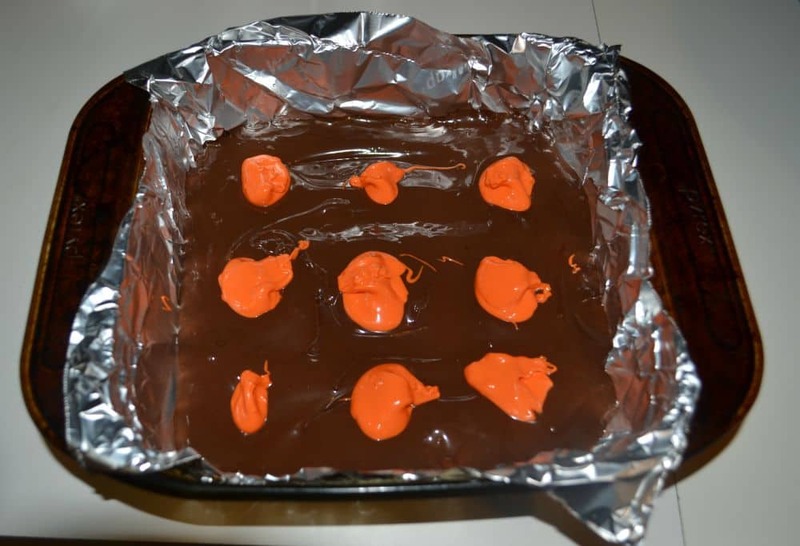 Place dollops of orange candy on top of the milk chocolate. Take a butter knife and swirl the colors together. 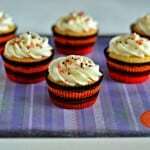 Quickly place the candy corn and Halloween candy on top of the chocolate and sprinkle with Halloween sprinkles. Allow to harden 15 minutes or until firm. The swirls in this are so pretty! Bark is always a great thing to whip up when you are running low on time.